Posted On December 05, 2018 by Team iCynosure. Children today are living in a very different world compared to what we grew up in. The changes in the family, community and personal dynamics have taken a toll on their physical health, mental stability, spiritual conscious, intellectual strength and social compatibility. Children around you no longer face just the evil of nutritional deficiency but also suffer from the problem of excess, especially where food is concerned with larger intake portions and lower activity patterns. The solution to this problem is pretty simple, yet difficult to implement as people are unaware of how to make healthy food choices, control portion size and indulge in mental and physical activities. In a recent workshop organised by DuPont Nutrition & Health, I was brought abreast with the benefits of soy and how it is an effective dietary protein that can easily be incorporated into children's diets. The Protein Digestibility-Corrected Amino Acid Score (PDCAAS) that ranks protein on the basis of essential amino acid profile and digestibility; ranks soy Protein as 1.0 which is the highest score attainable similar to that of dairy and meat. 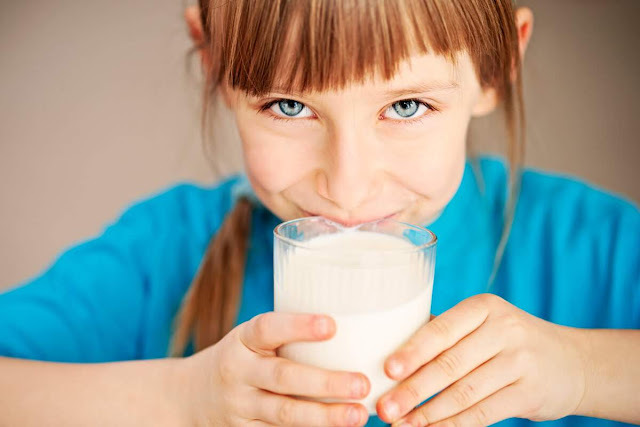 According to a study conducted by the Soy Foods Association of North America, apart from being a tasty alternative in children’s meals, soy provides essential nutrients like calcium, zinc, iron and folate for growth and development, fibre which boosts absorption and digestion and enables a higher protein intake with decreased saturated fats for overall wellbeing. Since soy is an exceptional 'complete protein' which is extremely good for growing children, the next imperative question to all mothers is 'Are you incorporating soy in your children’s diets? ', If not, here are a few simple ways of consuming soy, whether supplement for a child or an adult. The simplest form to introduce soy protein in a diet is through soymilk, the best alternative to dairy milk. A cup of soymilk contains about 100 calories and 300 milligrams of calcium. Soymilk can not only be consumes as is but also can be added to milkshakes and coffee, or set as curd. Soybean curd or more popularly known as tofu, is similar to cheese in texture and paneer in taste.Yet another excellent source of protein and calcium, tofu can be stir-fried, baked, grilled and used as an ingredient in numerous recipes, both in an appetiser or main meal. Unmatured green pods of soybean can be boiled in salt water to make Edamame. The pods can be then garnished with flavours and served as an appetiser. The beans can also be removed from pods to be added to salads and other food dishes. Matured soybeans can also be roasted and served as a snack. Soy can be cooked, slightly fermented and made into Tempeh that can be added to grains and legumes to be baked into cakes or set as energy bars. Tempeh has a firm texture and an earthy flavour, which becomes more pronounced as it ages. It also has a higher content of protein, iron, dietary fiber and vitamins. Isolate is dry soybean powder that is separated from the other components of soybean, making it rich in protein, carbohydrate and fat-free. Isolate can be found in many ready-to-eat food items such as protein powders, bottled fruit drinks, energy bars, breakfast cereals and more. There are numerous products with isolate brands available in the market, however, DuPont Nutrition & Health is a world leader in developing innovative soy-based ingredients that enable nutritious and great-tasting food and beverage products. The rigorous quality standards for raw materials, advanced technologies, manufacturing and inventory control ensure that the soy protein products deliver the highest levels of quality, safety and consistency. So when you pick products especially for soy protein, look at the label for the DuPont edge. So will you take the leap and introduce soy food and soy protein in your children’s diets? If so how, let me know in the comments below.